I love my life, that’s all I can say at the moment. Despite of the frustration of busy and failed to submit my assignment for the 4th time. I am officially a failure. However, I realized that we cannot fulfill our needs all in one time. We have to do it one step at a time. One by one. This remind me to our last literature in English class during high school. The title is “The Road Not Taken” by Robert Frost. Many things happen to me this few days. Quite boring but still happy with 4-1 if you know what I mean. As usual, I love Friday and always wait for Friday. It was Friday the 13th, again after February. I went to Rumba again and drop to Shenanigan’s this time. I am not a party people but we are having so much fun that night. 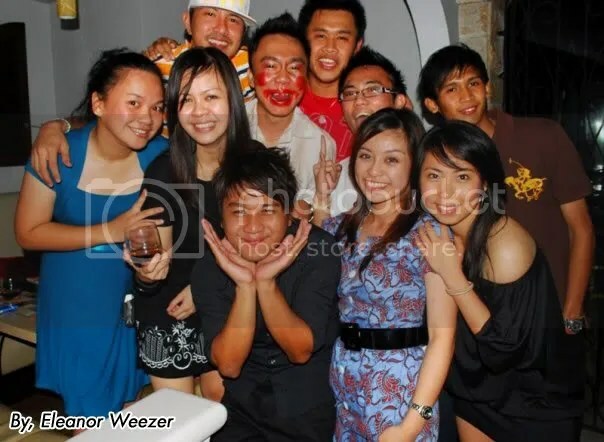 As all of us meet up each other and I wonder if we could stay up like this 10 years later?? 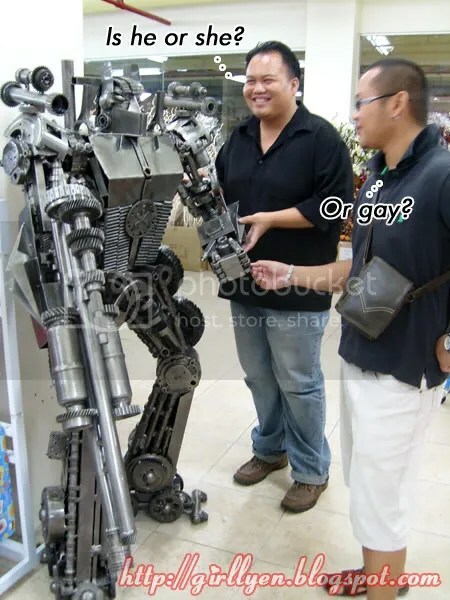 Maybe? Maybe not? I hope the friendship last forever. Honestly, I love friends. Especially the best of friends. A very memorable match for me. I have been waiting for this match and the resul was ouch! I loike! Before that, let we talk happen during the day. I meet my dear, I miss my dear, I love my dear, and he come to visit me. Long distance relationship is a tough relationship you see but I think I manage to stay positive and cherish our love. So, we have our lunch with Disie & Aldrian at Asia City Complex, walk around, books shopping and thinking of which movie is the best to watch that day. 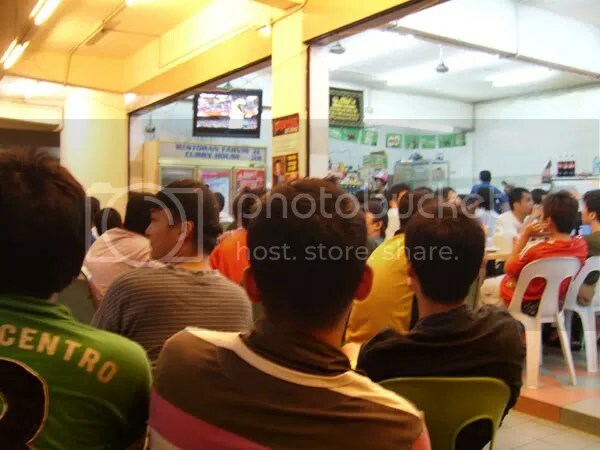 Aldrian should go to work, but he got some ‘headache’, so we manage to relief his headache by going to watch movie with another couple, Wmimie & Kenny. 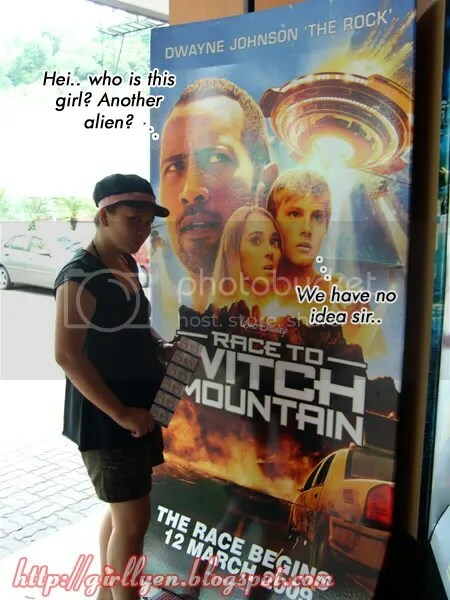 Race to Witch Mountain – the storyline was ok, but the comedy was hahahahahah! I loike! I really like Dwayne aka the rock when he’s acting serius with a funny message. I really enjoy the movie even my dear sleep right next me 30mins when the movie starts. Guess he was tired. Kesian my dear. After movie, we all went to 1Borneo, and have a quickie meal at McDonald. Wmimie & Kenny left us after finish meal, as we continue window shopping. Old Trafford – Liverpool vs Manchester United, another 4 score after defeat Real Madrid down. It was way of my prediction, but I really love the game. Most of the people talk about this match and I will not repeat about the winning part but 4-1 high me up singing You’ll Never Walk Alone just like how Jordan Spark sang You’ll Never Walk Alone on her last season on American Idol. Hope Liverpool get another 4 with Aston Villa this week. I start my day with a smile.. 4-1.. 4-1.. lingering in my mind.. hahaha.. Never been that excited. Have our brunch at Inanam, go to 1Borneo, watch City of Amber, meet my dear again at Terminal, and went home safely. Tired but I am happy.